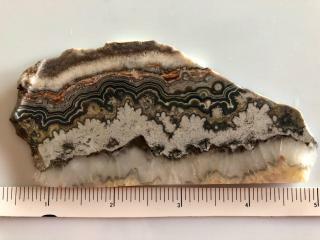 This is a scenic rolling hills Biggs Jasper Lapidary Slab from Oregon. Several areas for quality scenic cabs. Measurements are 2.3x5x3/16 inches. Photographed wet. 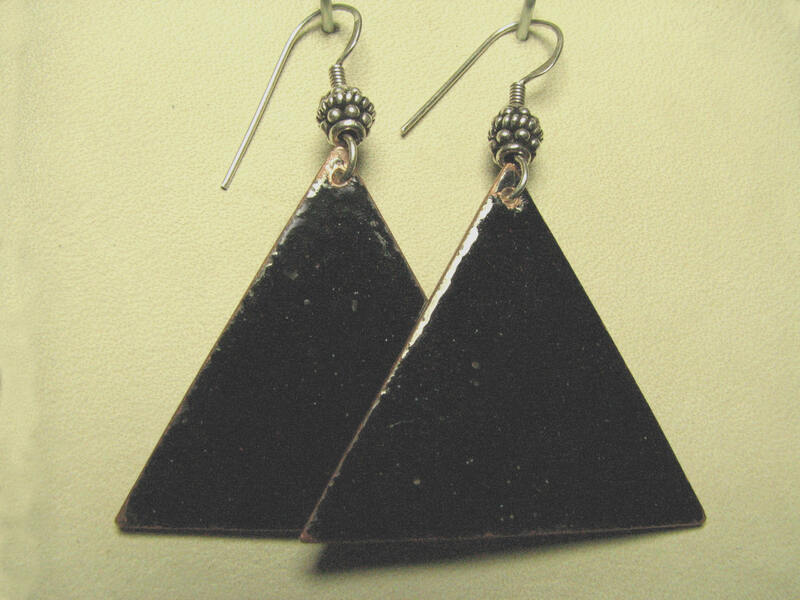 Large BLACK ENAMELED TRIANGULAR COPPER EARRINGS measuring 1 1/2″ on each side dangle from fancy sterling silver ear wires. The smooth, shiny black surface of the earrings and lovely ear wires make these earrings truly elegant. This is a solid Black Lace Lapidary Slab from Mexico featuring an awesome array of intricate geometric patterns. Perfect for knockout cabs. Measurements are 2x4x3/16 inches. Photographed wet. 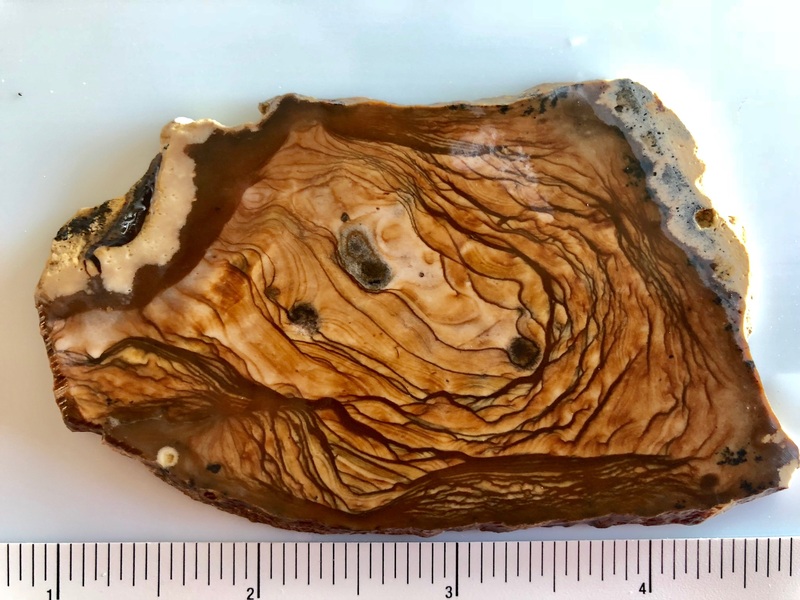 This is a neat Blue Forest Bytroidal Specimen featuring translucent bytroidal chalcedony and yellow calcite inclusions embedded in petrified algae. 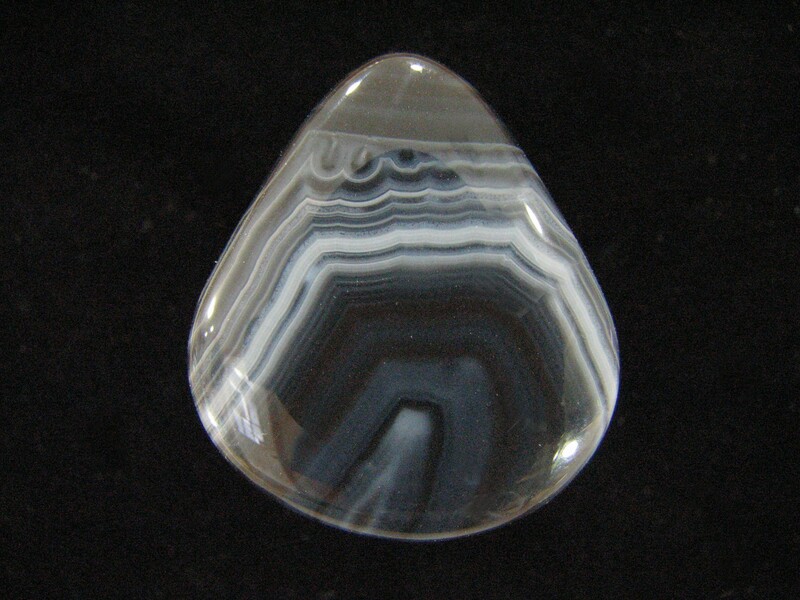 Measurements are 1.8×1.5×2 inches. Weight 3 ounces. 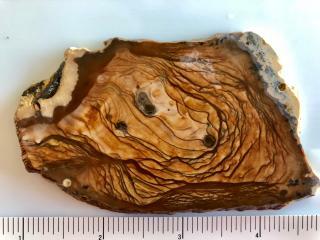 This is a full round Blue Forest Petrified Wood specimen that’s perfectly preserved internally and all around including some bark. Measurements are 2x2x2 inches. Weight 7 ounces. Photographed wet. This is a full round Blue Forest Petrified Wood specimen with a well decorated core, calcite, and blue chalcedony. Measurements are 1.5x2x2.5 inches. Weight 9 ounces.